Former Frecce Tricolori solo pilot Cap. Fabio Capodanno. 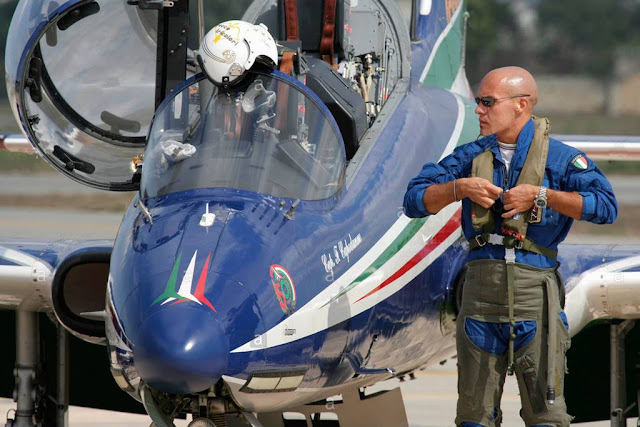 On 3 February 2019, the Italian media outlet "Corriere della Sera" published an interesting interview with the former solo pilot of the Italian aerobatic team Frecce Tricolori, Cap. Fabio Capodanno. Capodanno told the journalist Rinaldo Frignani that at the end of his experience on board the MB-339 number 10, he decided to make a radical change from combat aircraft to patient transport. According to the article, he joined Aeronautica Militare (Italian Air Force) in 1999 as a pilot of AMX combat aircraft at the 32° Stormo (32nd Wing) of Amendola, Foggia, then he entered the Frecce Tricolori in 2006 until 2015. Capodanno says that when he is called in service late at night to make an urgent flight, he gets up happy because he knows that he will save a child's life and this new role helps his inner growth. He decided to try something different after seeing parents suffer for their child who had to face a transplant. Today the 31° Stormo (31st Wing) at the Ciampino airport, Rome, has became his new home. It is the Unit of the Italian Air Force that has the task of carrying out health, humanitarian and VIP flights. 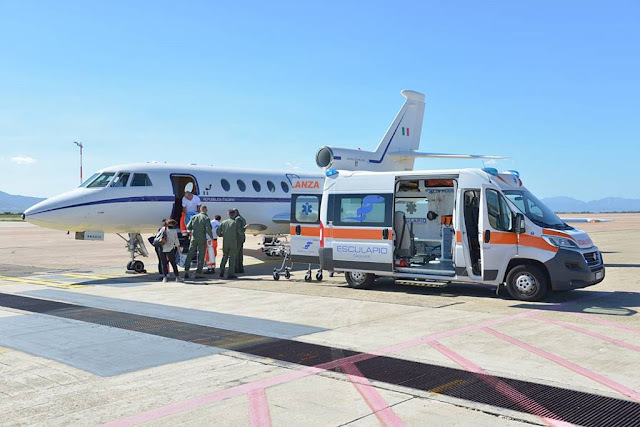 The article says that in 2018 the three transport Squadrons of the Italian Air Force (31° Stormo, 14° Stormo and 46^ Brigata) have made 115 urgent health flights and about half included children and babies up to three years. In 2019 they have already run seven flights. Capodanno explains that even his current Unit operates in QRA, crew must be available 24 hours a day, every day of the year, and as soon as the phone rings, they must take off within two hours. He describes that during the flight there is silence on board, but he perceives the suffering of people who in a few hours had to take a plane to bring a very sick relative to a hospital more equipped than the previous one. Capodanno says that the crew tries not to interact with people who fly with them in order not to invade their lives, but often his Unit receives letters of appreciation for the work they have done and this is one of the best moments of his new task.